The forest art print project is still moving along.4″x4″ printed & water colored squares will eventually become attached to balsa wood frames. The carved images are quick and not perfect. It’s become more of a learning experience than anything, pushing my envelope in an area I don’t visit very often. Plus making me work in the studio for six hours a day has it’s good and bad sides. The mollusk print was to be started later in the week but today seemed perfect and I wanted to procrastinate more on the fir cones ( for some reason the cones intimidate me more than the slug image). The total count thus far is 3 completed, one in process (the slug), and two others sketched out (one on paper, the other on a block). Tonight an order will be placed for additional materials to complete the project. Nothing like running out of carving materials! 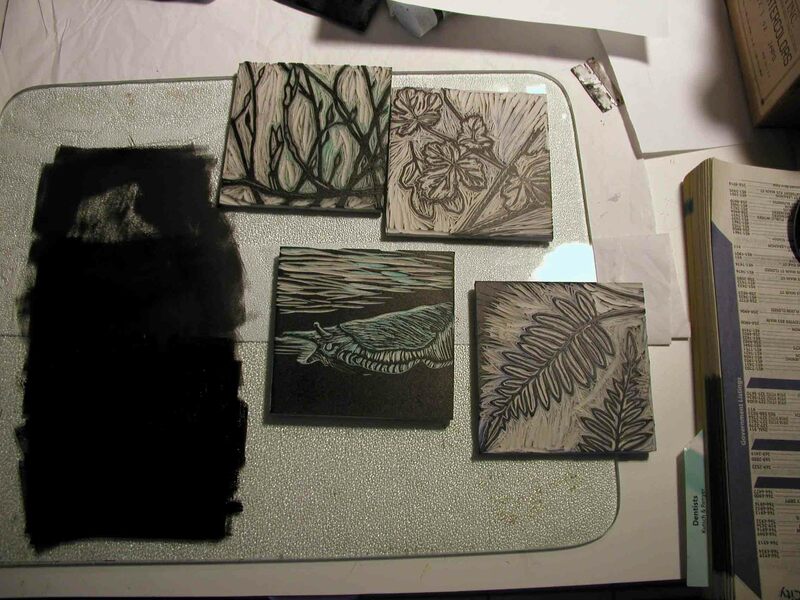 Here are some images of the carved blocks. Below is the inking station with four blocks. 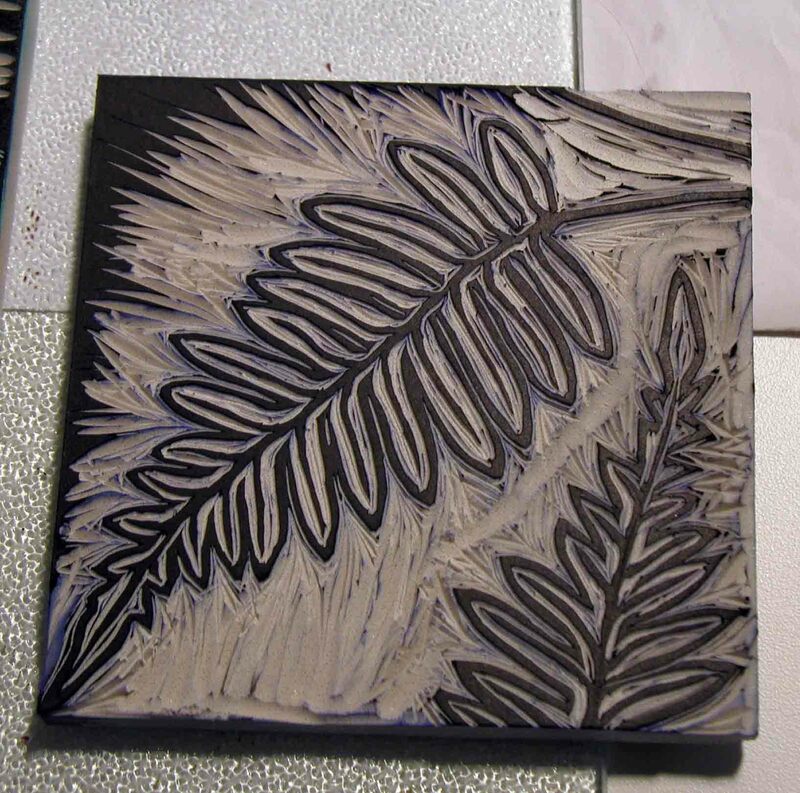 Completed fern block. What is it with ferns this year? I can’t quite get enough of them. 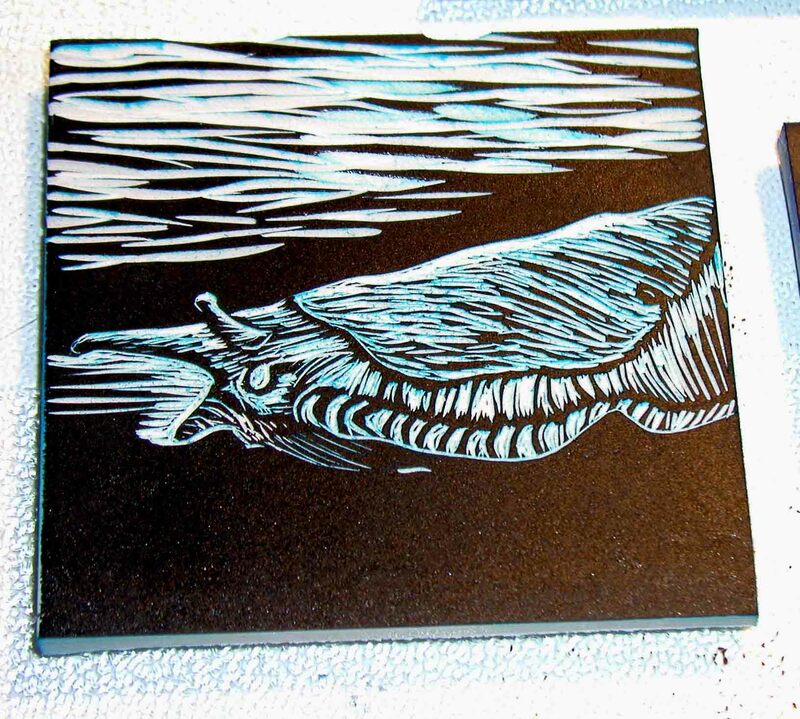 Here is the slug image so far on the block. Foreground and background still need working through. Thursday night I’ll post more completed images. Love them all, slug is especially interesting, not seen too many slug prints.